No matter where you are in your massage therapy career, you are probably very busy. If you recently graduated, you’re most likely consumed with developing your practice, adjusting to a new job or figuring out how to balance your own needs with the demands of your work. Those who have been working for a while face a different set of challenges: avoiding burnout, increasing income, staying fit and balancing family life with work life. 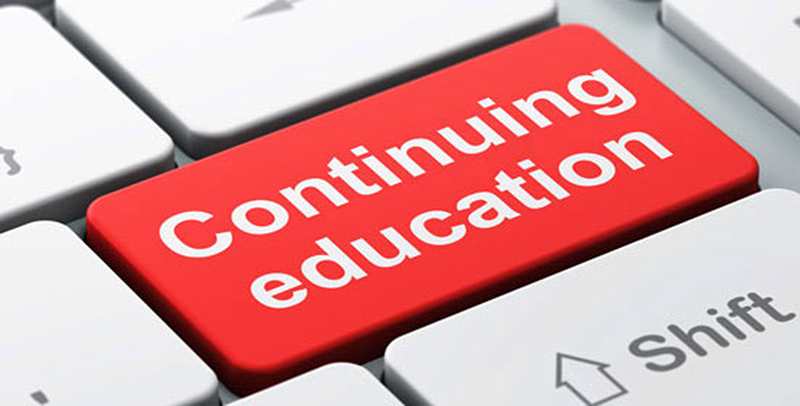 Regardless of your circumstances, the specter of fulfilling required continuing education units can be daunting. However, changing your thoughts about CEUs can make a difference in your career. Many therapists begin their careers having learned a great deal about massage for relaxation. However, as their careers progress, they find there are a large number of patients who need massage as a therapy and that massage can be a critical part of maintaining good health beyond being a way to reduce stress. For some patients, massage therapy means controlling pain, recovering from injury, and/or preventing future pain and injury. New therapists may find that CEUs offer training they need in order to provide the care their patients are seeking. Although continuing education is a licensure requirement, many therapists discover that they would seek out additional training even if it weren’t required. Learning specific techniques allows therapists to better serve their patients’ needs. For those who have established careers, adding skills can be a good way to increase income—you can treat more patients who have a wider variety of issues when you have more knowledge. When that knowledge is more specialized, it is more valuable. Specific, specialized training means you can help more people and that your help is worth more. Often, time is the big issue. It seems counter-productive to use time that you could be going to appointments and earning money to spend money to complete CEUs. However, if the training results in a higher per-appointment income, then you recover your investment quickly. Seek out programs that will help you develop skills that are in demand, such as myoskeletal or neuromuscular techniques. Finally, be sure to do your due diligence before paying for any CEUs. Talk to people in your network, read reviews and spend a little time researching. Be absolutely certain that the work you do and the money you invest will give you—and your patients—the results you expect. If you enjoyed reading this MASSAGE Magazine online article, SUBSCRIBE to the print magazine for more articles about massage news, techniques, self-care, research, business and more, delivered monthly. SUBSCRIBE to our e-newsletter for additional unique content, including product announcements and special offers.